Post Code Name of the Post Total Vacancies Age as on 01/07/2016 Min. Max. Scale of Pay Rs. The proforma Application will be available on Commission’s Website (www.psc.ap.gov.in) from 31/12/2016 to 30/01/2017. Before applying for the post, an applicant shall register his/her bio-data particulars through One Time Profile Registration (OTPR) on the Commission Website viz., www.psc.ap.gov.in. Once applicant registers his/her particulars, a User ID is generated and sent to his/her registered mobile number and email ID. Applicants need to apply for the post using the OTPR User ID through Commission’s website. Submission of Online application: 30/12/2016. 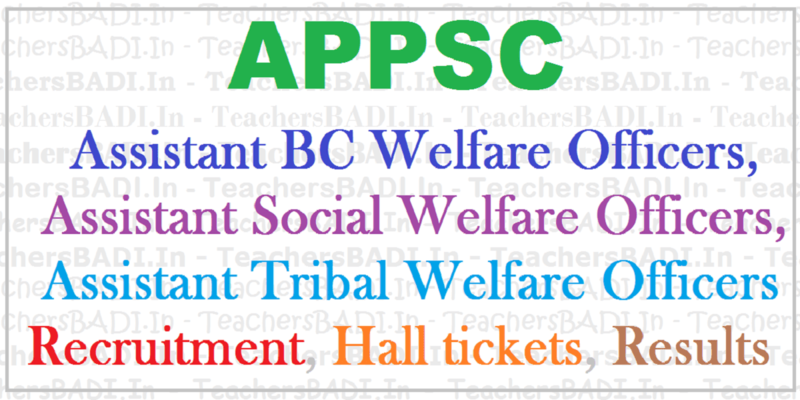 APPSC has conducted a preliminary examination/Screening test on Sunday (June 25) for selection of Assistant Welfare Officers in BC, Tribal and Social Welfare Departments. A total of 38,897 applicants applied for the examination, of which 18,143 (46.64%) were present. The exam key has been placed on the APPSC website. APPSC has stated that if any objections are made in key and send objections within a week.